2-Elizabeth Harvey was born on 14 Feb 1860 at sea on the Indiana enroute from Scotland to Australia, died on 1 Jul 1939 in Mole Creek at age 79, and was buried in Mole Creek Public Cemetery. 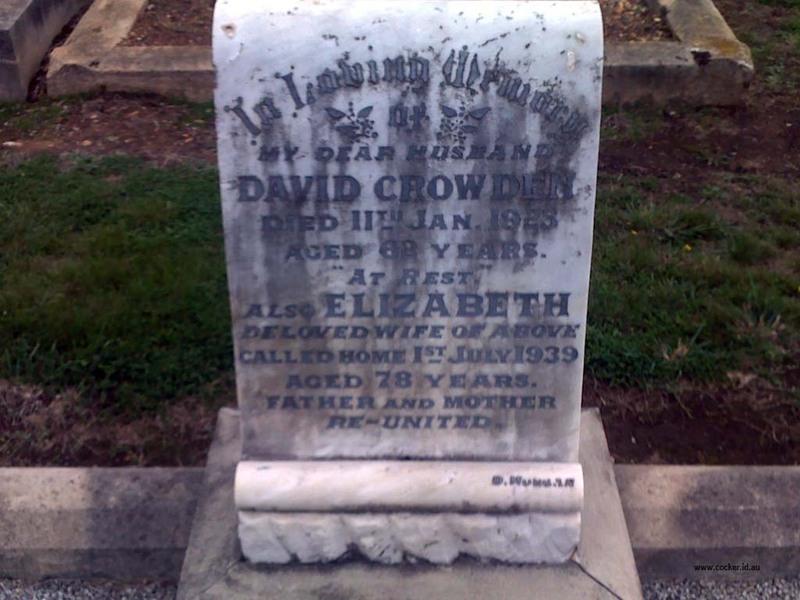 Elizabeth married David Crowden, son of convict Charles Croden and Catherine Burnie, on 24 Nov 1885 in Westbury, Tasmania. 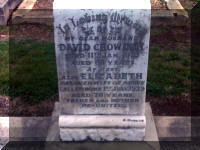 David was born on 6 Nov 1859 in Deloraine, Tasmania, died on 11 Jan 1923 at age 63, and was buried in Mole Creek Public Cemetery.